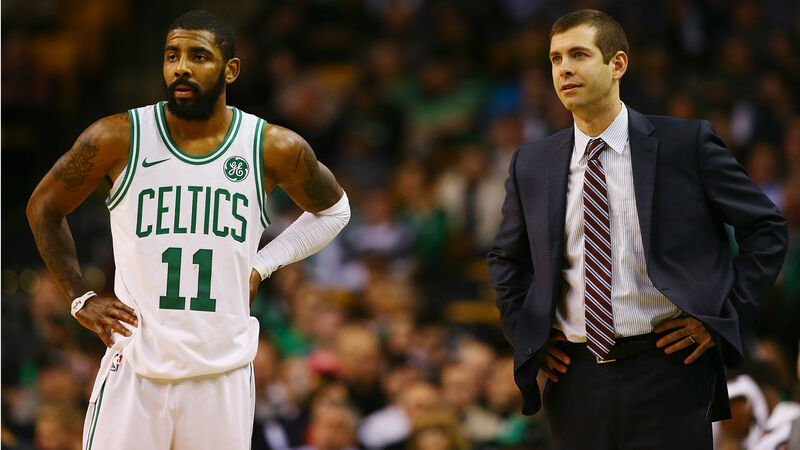 Kyrie Irving is giving every possible sign he wants his future to be in Boston. According to The Athletic, Irving has communicated to Celtics brass he is “verbally committed” to returning to Boston in free agency. This comes days after Irving told ESPN in an interview alongside Gordon Hayward that he was happy where he was in Boston. He doubled down on the sentiment at a fan event this week, saying he plans to re-sign with the team. “If you guys will have me back, I plan on re-signing here,” he said. Irving’s five-year, $94 million contract he signed with the Cavaliers in 2015 runs out after the 2019-20 season, but he has an option year next year and could become a free agent in 2019. The 26-year-old point guard averaged 24.4 points, 5.1 assists and 3.8 rebounds in 60 games for the Celtics last season. Boston acquired Irving from Cleveland during the 2017 offseason for a first-round draft pick, Isaiah Thomas, Jae Crowder and Ante Zizic.